Which Pizza Rewards Program Delivers the Best Deals? 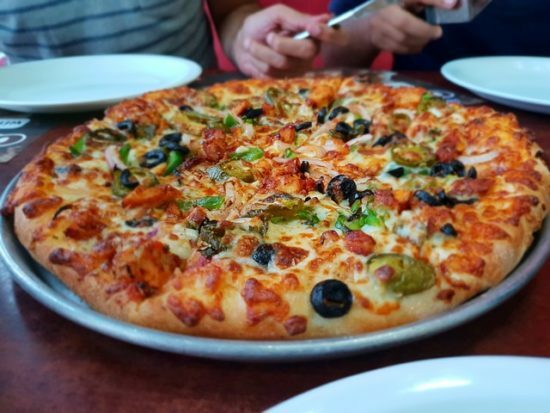 The only thing that tastes better than pizza is free pizza. Three of the top chains in the U.S. give loyal customers the opportunity to earn free food. Here comes a comparison of the pizza rewards programs offered by Domino’s, Pizza Hut, and Papa John’s. Domino’s Piece of the Pie program gives you 10 points for each order over $10, tax and tip excluded. A maximum of 10 points can be earned per order, and only one qualified order is allowed per 24-hour period. Once you earn 60 points, you can redeem them for a free two-topping medium pizza — that’s the only reward option, however. However, if you play your cards right, you could earn that free pizza after spending just $60, parsed out over six separate orders. That’s a pretty good deal. Pizza Hut Rewards members earn two points for every dollar spent ordering online. There’s no limit to the number of points you can earn per order. And since you can claim a reward after spending just $75, so you might even be able to score it in your first delivery if, say, you’re getting a delivery for a party. Ultimately the choice between pizza rewards programs ought to rely on your consumption habits: If you make a large quantity of small orders, Domino’s might seem like the best deal. However, if you tend to make a smaller quantity of larger-sized orders, then you might prefer Pizza Hut or Papa John. If you want the most variety in pizza rewards, then Papa John’s might be for you — or if you really want to mix it up, you could sign up for all three and alternate. Of course, the latter choice might be best for people who really consume a lot of pizza. Readers, what’s your favorite pizzeria? Do you belong to any pizza rewards programs, or would you switch pizzerias in order to claim (more) free pizza? If you’re in any pizza rewards programs, how often do you score free pizza? If you liked this article, you just might enjoy our rich archive of stories about rewards programs and food. However, the ramifications of carrying around extra weight go far beyond aesthetics. Overweight individuals are more likely to suffer from diabetes, stroke and heart disease, and to treat these chronic diseases will continue to drive healthcare costs at a staggering annual rate. Already heart disease and stroke account for $432 billion per year in healthcare spending and diabetes costs $174 billion each year. In this context, the Institute of Medicine has recently completed new guidelines in order to “bring school meals in compliance with national dietary guidelines.” But such guidelines are only half the battle. Indeed, when children go home, parents must be aware of what foods they feed their children and how that food can impact their future health. 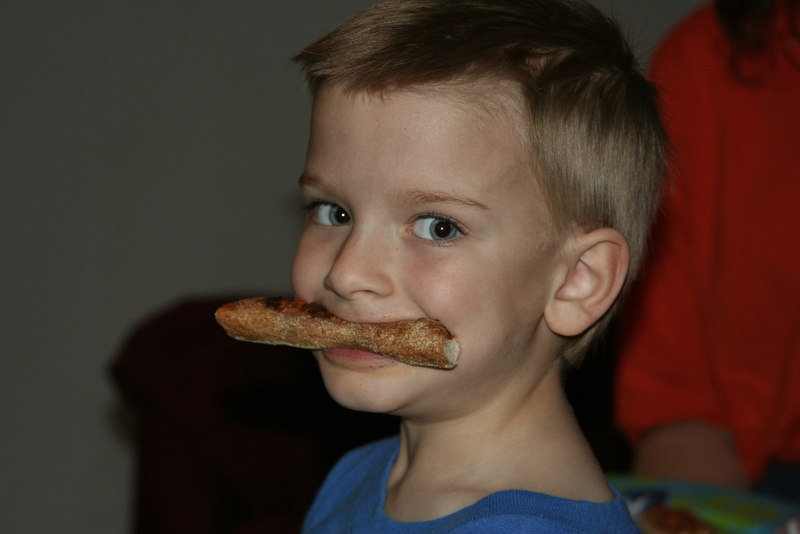 Thus, the importance of a new study published online in the journal Pediatrics, the authors studied the impact of pizza consumption on children’s’ caloric intact. The researchers discovered that pizza is a significant source of calories, salt and saturated fat in children’s diet. Specifically, when children eat pizza, they consume approximately 408 additional calories compared with their regular diets, whereas teenagers consume an additional 624 calories. To complete the study, the authors used data from the National Health and Nutrition Examination Survey. Participants using this survey are asked to remember the various food items they consumed or drank in the past 24 hours. Responses form over 7,400 children and more than 6,400 adolescents were also examined between 2003 and 2010. 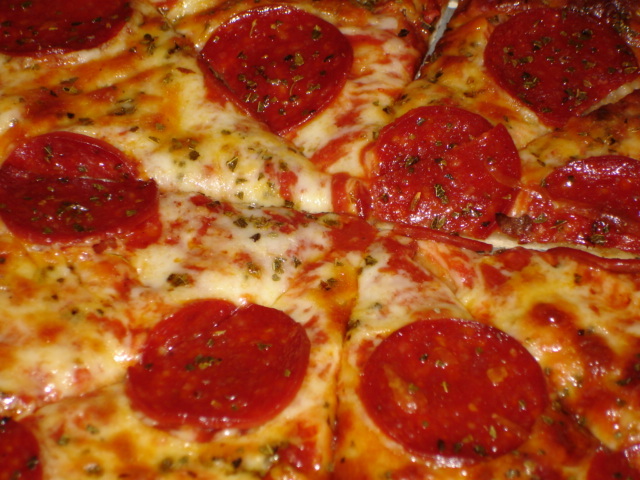 Lisa Powel, one of the study co-authors and director of the Illinois Prevention Research Center has said, “People should aim to curb pizza consumption, particularly as a snack where it was shown to have the largest adverse impact on children’s [caloric] intact.” Powel recommends that a “healthy pizza” should be developed in which the amount of saturated fat and salt in certain food items is reduced and the whole grain content is increased. While pizza is not the only food driving childhood obesity, its large-scale consumption by school-age children and teenagers alike underscore that changes must be made to America’s lifestyle. As Alexis Tindel, a clinical dietitian with the Center for Healthy Weight & Nutrition told journalist, “Make [food] at home, instead of ordering it out where you don’t have any control how it’s made…choose healthier toppings, increase the vegetables and lean proteins, and put less cheese…” These steps will afford parents greater control over the quality of foods they place in their children’s mouths — and their own.